NCP Solutions' history is rich and deep. For more than 40 years, NCP Solutions has collaborated with its clients and alliance partners to develop and implement advanced output systems, secure workflows and quality processes that deliver superior print and digital media communications. Working with NCP Solutions presents organizations with a significant opportunity to enhance their bottom line through process improvement. Outsourcing business communication processes to NCP Solutions enables the enterprise to more effectively apply their valuable human and financial resources to core functions and key business challenges, while leveraging the proven expertise of a world-class service provider. NCP Solutions takes extensive measures to protect the privacy and security of customer data. In 2011, the American Institute of Certified Public Accountants (AICPA) created the Statement on Standards for Attestation Engagements (SSAE) No.16, effectively replacing SAS 70 with Service Organization Control (SOC) reporting. As of January 2013, NCP Solutions completed its Service Organization Control (SOC) 2 Type 2 report in accordance with SSAE No.16, further demonstrating its continued commitment to protecting and safeguarding customer data and information. 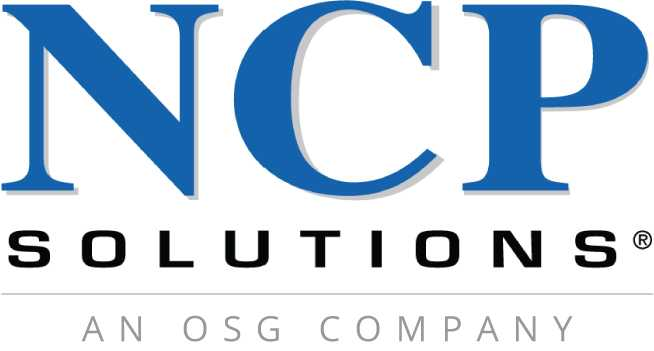 NCP Solutions produces and delivers mission-critical data and document outsourcing solutions for clients in a variety of industries, including Financial Services, Healthcare & Insurance, Public Sector, Hospitality, Auto Lenders, Telecommunications and Utilities. NCP Solutions is committed to maintaining a secure and confidential environment for processing its Clients’ data. Through the use of proven workflows, internal process audits (monitoring), disciplined system architecture and design practices, third party security assessments, and partnerships with leading software providers in our industry, NCP has taken reasonable steps to ensure processing integrity throughout all NCP systems. NCP is also committed to providing products and services that consistently meet or exceed its customers’ expectations. Furthermore, we actively pursue goals aimed at achieving excellence in Data Management and Data Security. For questions concerning confidentiality, processing integrity, and related security issues, please email NCP at YouAreSecure@ncpsolutions.com. NCP Solutions is committed to maintaining a secure and confidential environment for processing its Clients’ data. Through the use of proven workflows, internal process audits (monitoring), disciplined system architecture and design practices, third party security assessments, and relationships with leading software providers in our industry, NCP Solutions has taken reasonable steps to ensure processing integrity throughout all NCP Solutions systems. NCP Solutions is also committed to providing products and services that consistently meet or exceed its customers’ expectations. We actively pursue goals aimed at achieving excellence in Data Management and Data Security. Since 2004, NCP Solutions has contracted with nationally recognized accounting firms to conduct annual SAS 70 Type II examinations; the scopes of which are defined to address matters clients consider most important. The American Institute of Certified Public Accountants (AICPA) created the Statement on Standards for Attestation Engagements (SSAE) No. 16, which went into effect for service auditors' reporting periods ending on or after June 15, 2011. SSAE 16 is an attestation standard that addresses engagements undertaken by a service auditor for reporting on controls at organizations that provide services to user entities, for which a service organization's controls are likely to be relevant and requires that the service organization provide a description of its system along with a written assertion by management, which was never required by SAS 70. As of January 2013, NCP Solutions completed its Service Organization Control (SOC) 2 Type 2 report in accordance with SSAE No. 16, which reports on NCP Solutions’ management's description of its system and the suitability of the design and operating effectiveness of controls. For more information on AICPA, SSAE 16 and SOC, click here. Although minimizing an environmental footprint can be challenging in a document intensive industry, NCP Solutions continues to work with its clients towards a “greener” tomorrow. NCP Solutions utilizes recycled paper in its production process and also offers other “green” materials and supplies where appropriate. Our inks contain little or no hazardous ingredients, very low or zero VOC’s and have a high natural oil content, such as soy oil, flaxseed oil and tung oil. Our continued commitment to the environment is evidenced by our investments in eco-friendly technologies and materials that minimize our environmental footprint and reduce adverse impact. At NCP Solutions we align our diverse subject-matter expertise with your business needs to create a highly-collaborative approach in implementing our solutions. From design and development to quality assurance and testing to final release and ongoing support, NCP Solutions’ proven project management approach ensures timely service implementations. When your implementation has reached its successful completion, our job is just beginning. What you'll find with NCP Solutions is a Client Services team with a wealth of industry knowledge and expertise. We clearly understand that our clients expect their assigned representative to be a true business professional with the ability to think strategically and act tactically. Our associates have proven track records in supporting our clients with the highest degree of professionalism, knowledge and integrity. For more information on implementation & client services, please contact customersupport@ncpsolutions.com.